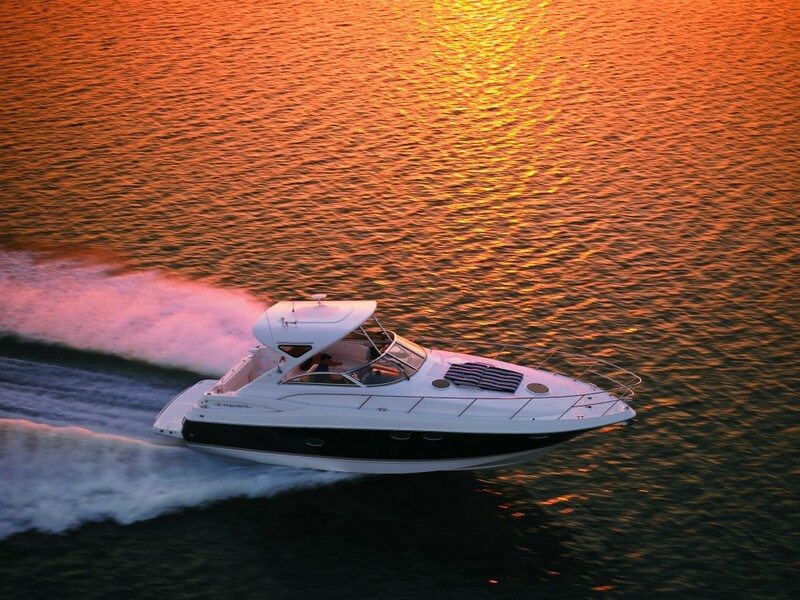 Creating sporty deckboats has been a goal of many manufacturers in recent years. 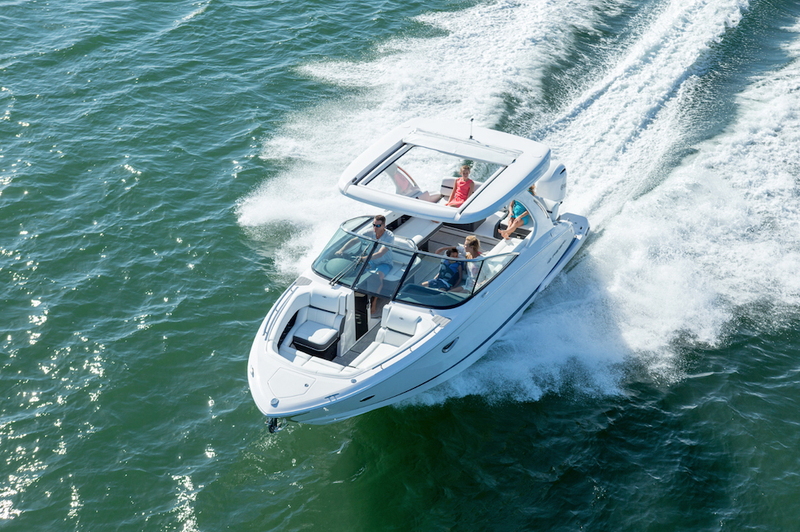 Regal’s 24 FasDeck is one of the few that takes some chances—and gets it right. A deckboat with daring? See if you agree. 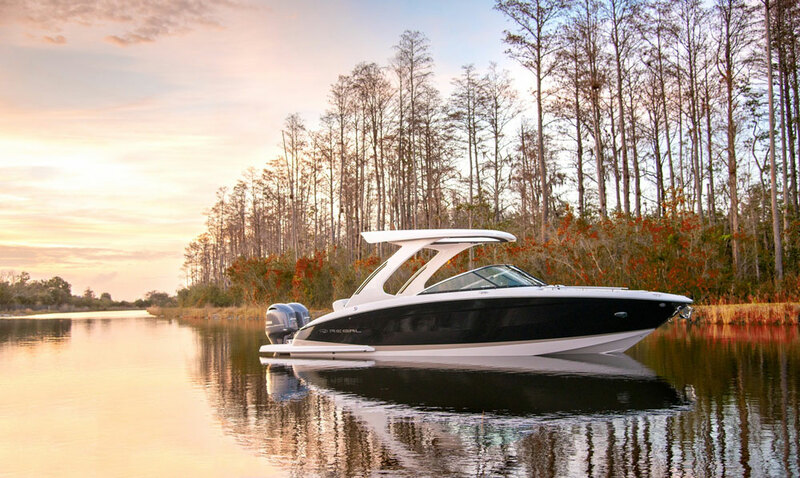 The brand’s FasTrac hull design (similar to the hull on Regal’s 2500 and the FasTrac 2100) gives the boat agile manners and performance. 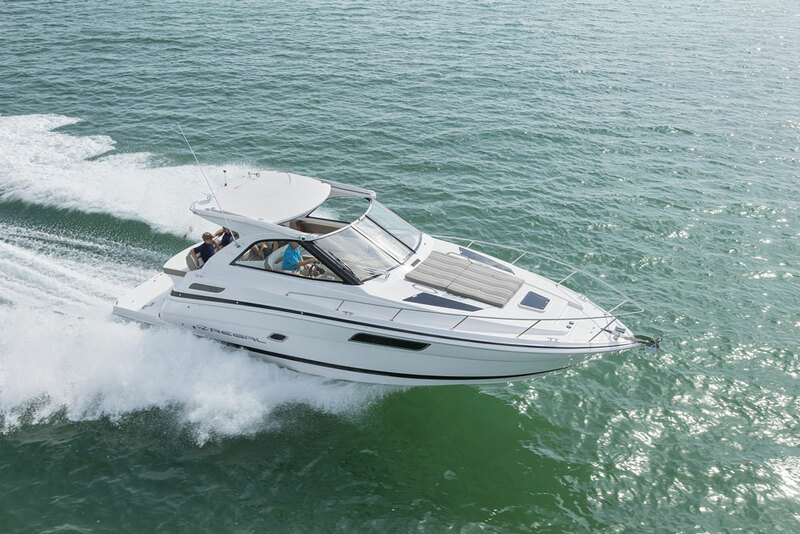 Corners are sportboat-tight, and by introducing air under the hull via a mid-beam step, drag is minimized for better-than-average top speeds. 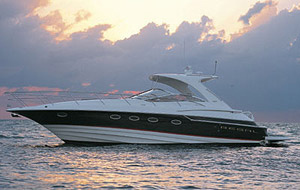 The Regal 24 FasDeck is tricked out with the transformational Ultra Lounge. Above, an edgy deck design carries the hull lines forward to maximize bow cockpit room, yet its faceted styling manages to avoid the boxy feel that plagues many similar models and often becomes a point of contention in the deckboat vs. bowrider debate. 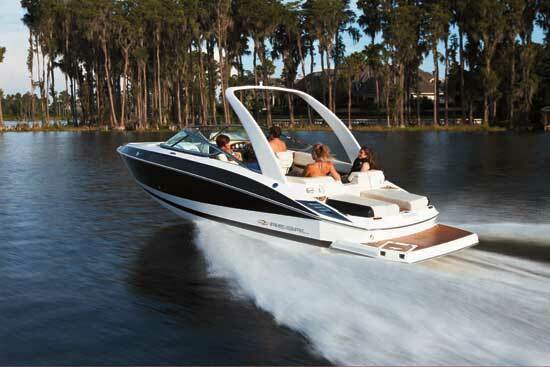 That angular bow incorporates a wide nonslip platform for boarding or off-loading at the beach. A double-duty anchor/ladder locker is covered to prevent snubbed toes. Behind, dual bow lounges feature flip-up armrests. Hinged cushions raise on struts for easy stowage access, and raised lips avoid water intrusion. In the main cockpit, a classy port console head features Flexiteak flooring, cherry cabinetry and a Corian countertop. L-shaped seating includes an aft-facing passenger seat to enhance socializing. 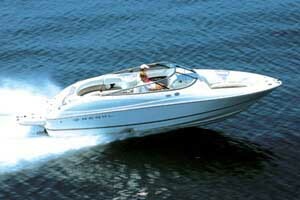 A cleanly integrated swim platform is roomy and offers plenty of space to gear up for watersports. My lasting impression, however, is of Regal’s Ultra Lounge. Like a Transformer, this aft bench/sunpad combo morphs into one of six positions, from bench to bed to rear-facing chaise. It’s a Euro-inspired feel that will make you long for time as, dare I say it, a passenger. 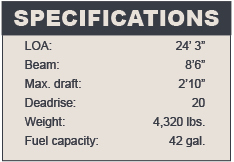 Engine options include a variety of MerCruiser or Volvo choices, from a 260hp MerCruiser 5.0 MPI Alpha to a 300hp Volvo 5.7 Gi Catalyst DuoProp. 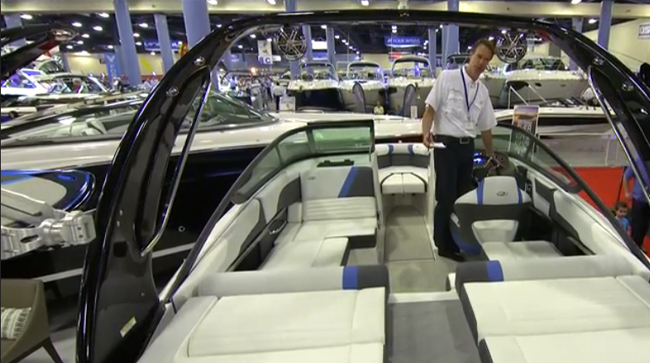 Pricing starts at $58,207, but the boat’s daring attitude is included at no extra charge.